Humans—with our robot rovers on faraway planets, our advanced nuclear technology, and our instant global communication—often assume ourselves to be masters of our universe. Yet an entire hidden dimension exists around us which we do not often detect. We live in a world of unseen phenomena because our eyes only respond to the visible spectrum. 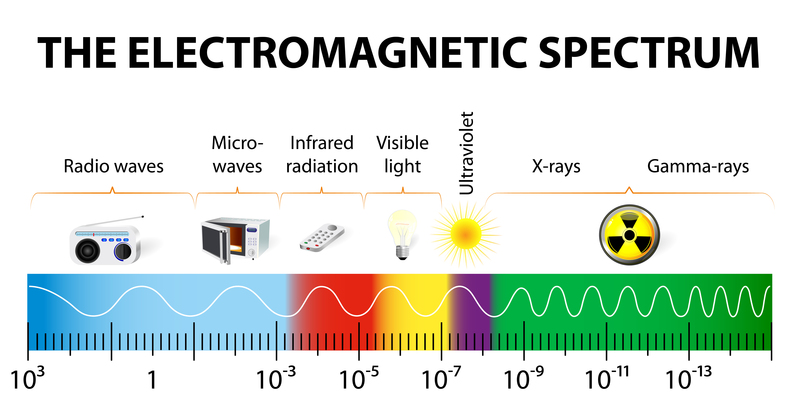 The world around us is comprised of energy, but we cannot touch it or see it, and instead we use technology to detect energy ranges on the invisible spectrum, such as electromagnetic fields, infrared rays, and ultraviolet light. We know wireless Internet exists because we connect to it with our devices, but we cannot see it permeating our environment. Different types of electromagnetic radiation by their wavelengths. In the 17th century, physicist and mathematician Isaac Newton, experimenting with optics, first used the word “spectrum”—Latin for “apparition”—to describe the effect of a prism scattering sunlight into a rainbow of colors. He realized there were phenomena that we cannot detect with our eyes. Birds and other animals can detect and use the Earth’s electromagnetic fields to navigate and hunt. Unlike many animals’ and insects’ eyes, the typical human eye will see only certain wavelengths of light on the electromagnetic spectrum. There are spectacular color variations, which we cannot see that animals detect readily. For instance, bees can detect ultraviolet light, which they use to identify flowers. What’s more, last year a study in the journal Science revealed that flowers and bees may communicate with one another using bioelectromagnetics. Similarly, birds and other animals can detect and use the Earth’s electromagnetic fields to navigate and hunt. Animals are masters of seeing the unseen, detecting what we cannot, and using it as a tool of survival. Using magnetoception, many creatures sense magnetic fields to determine direction, altitude, and location, which they then use to orient themselves and even migrate. Magnetoception is used by birds, turtles, foxes, and even bacteria! In one study, red foxes were observed hunting for mice by jumping in attack. To the surprise of scientists, the foxes were found to be helped along by the Earth’s magnetic field. Displaying a clear preference, the foxes often pounced on prey from a certain magnetic direction—roughly north-east—and when they came from that direction they were more often successful. Bizarrely, a study conducted by an international team of scientists found that domesticated dogs seem to defecate in alignment to geomagnetic fields. It has also been shown that migratory animals, such as robins, can be impacted by man-made electromagnetic “noise,” as evidenced in a study published in the journal Nature. The European robins were captured and made to fly out of a funnel-shaped cage. When exposed to electromagnetic noise by scientists, the birds became disoriented, flew in many directions, and were largely unable to escape the funnel. When they were protected from the noise by a Faraday cage (a metal, conductive shielding enclosure), their internal compasses began working again, and they were able to easily exit the funnel. In what seems like extra-sensory perception to humans, reindeer and other migratory herd animals tend to stay clear of the power lines that cross the landscape. Scientists said the avoidance of the power cables is likely due to the animals’ ability to see ultraviolet light. Even though it’s not visible to humans, it’s suspected the animals see the power lines as long bands of terrifying, randomly flashing, and bright light. It’s no wonder they steer clear! Knowing this should help future power planners ensure the migrations are not hampered or interrupted. Even some humans are able to experience what is often shielded from the rest of us by our senses. It has been reported that after impressionist painter Claude Monet had cataract surgery on his eyes in 1923, some think he became able to detect colors on the ultraviolet spectrum, and as a result his paintings changed slightly. 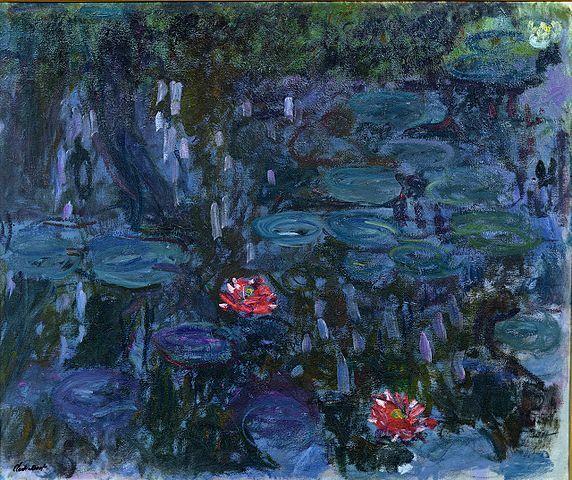 It is said that after the operation, his paintings of water lilies possessed a blue tinge—his visual perception of the world had an ultraviolet blue cast to it. She has a fourth receptor in her eyes, which enables her to see 99 million more colors than other people. 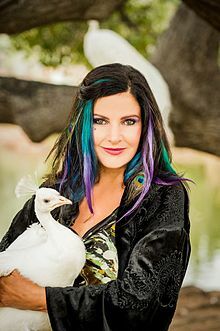 Concetta Antico is an Australian artist who possesses a rare genotype, which makes her a tetrachromat. She has a fourth receptor in her eyes, which enables her to see 99 million more colors than other people. Her exciting, colorful art demonstrates her visual range and the kaleidoscopic world she enjoys. 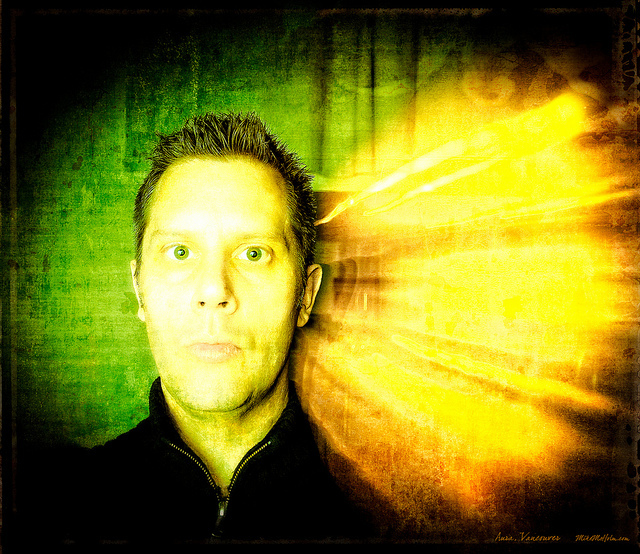 Certainly there are those who claim to be able to see or detect human-projected energies, otherwise known as auras. An ancient concept often linked with spirituality, the aura is believed to be a field of luminous radiation around a person. The idea of aura and aura detection is often met with skepticism, and it is contended that people may perceive auras because of effects within their own brains, potentially stemming from epilepsy, synesthesia, or migraines. Support for aura detection comes in the form of Kirlian photography. This is a technique, which captures images of electrical discharges of an object. The striking imagery illustrates what many people describe as auras. What Are the ‘Auras’ Around People Seen in Photos? Is There a Physical Explanation for the ‘Vibes’ You Get Off People? As science and technology progress, our eyes are opened to the many ways in which we remain blind to the amazing, invisible world around us. Though some psychologists and natural scientists remain skeptical, many agree telepathic abilities and related phenomena exist. Here are some stories from history and personal accounts of premonition. What Are Those Tiny Translucent Blobs, or Floaters, You Seem to See in the Air? Many people have seen amoeba-like, translucent particles floating in their vision, particularly in a bright setting. Find out what they are here. Poltergeists, spiritual and psychical experiences—are these phenomena related to autism?